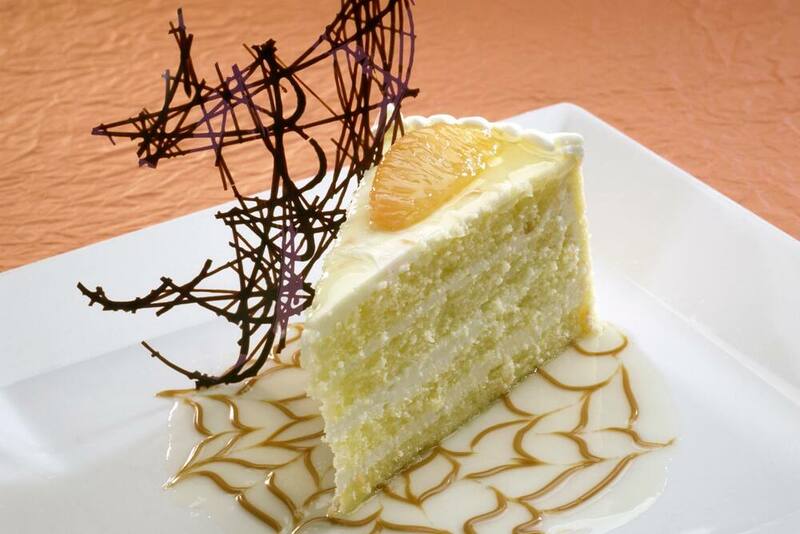 When I really want to indulge, one of my favorite treats on Property is the grapefruit cake from The Hollywood Brown Derby- the cream cheese frosting is divine! Today I'm sharing the recipe for this scrumptious delight so that you can try it at home. This is a refreshing reception dessert and a fabulous option for a groom's cake. Preheat oven to 350?F. Lightly grease a 9-inch by 2-inch round cake pan. Line the bottom of the pan with wax paper and lightly grease the paper. Add the lemon juice and the lemon zest. Gradually add the confectioners' sugar and beat until well blended. Add the food coloring, if desired.